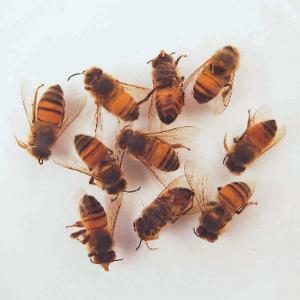 Alcohol preserved bees. Available in vials. Apis mellifera. The most “beneficial” of all insects, a crop pollinator. Size: 1/2".